Ok, yes. I know. I’m being a little redundant here. But as I was starting another batch of lemon curd the other day, (I think my sixth or seventh in the last couple of weeks! 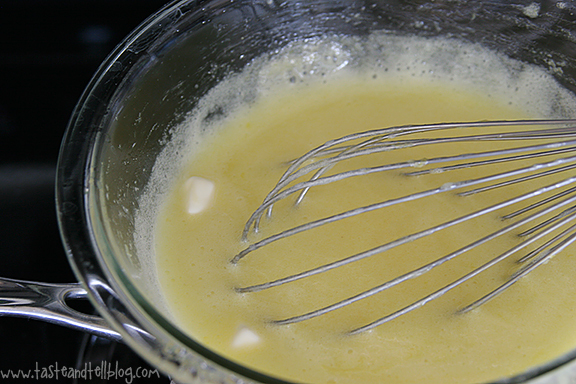 ), I started thinking that maybe I need a whole separate post on how to make lemon curd. You know the other day when I asked you if you all like step by step photos? 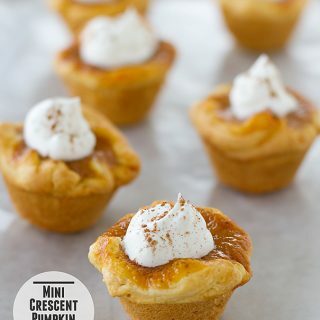 Well, I’m not going to be going to step by step in every post, but I think this recipe is a perfect recipe for a how-to post. The most important component, of course, is lemon juice. Now, I’ve never actually tried making this with the bottled stuff, but I say – if you are going to go to the work of making your own lemon curd, you better use freshly squeezed lemon juice!! 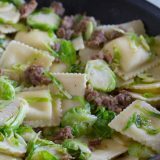 The thing I love about this recipe is that you pretty much just throw everything in a bowl, minus the butter. No separating eggs. As much as I love lemon curd made with just yolks, I hate having the whites leftover, and feeling like I have to use them instead of throwing them out. No extras in this recipe! Oh yeah – and this is one reason I don’t normally do step by step photos. I don’t realize how spotty my dishes are until I pull up the pictures. Darn rental dishwasher!! 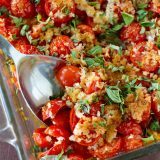 You’ll whisk all the ingredients together in a heat-proof bowl. I always use glass. I’ve heard that if you use metal, your curd will end up with a metallic taste. Stick the bowl over a pot that has about an inch of water simmering. And start stirring or whisking. I’m a whisker, myself. I think this is the part that is most intimidating to people. How do you know how long to cook it? Well, I’m here to show you!! You do have to note, though, that this will take a different amount of time, depending on your elevation. If you are say, about 4,373 feet above sea level, this is about how long it should take. But the good news is that the stages of consistency are the same no matter where you are. Excuse the blurry top pictures, (another thing that make step by steps difficult – a kitchen with not a whole lot of natural light…), but after 5 minutes, you’ll see that the mixture pretty much looks the same as when you started. In fact, it might not even be warm at this point. At 10 minutes, it’s still super thin, but it’s coming together a little more. At 15 minutes, you can tell that it has thickened up a bit. I think this is the point where most people will start questioning. Is it done? Does it need more time? Me, I go a little bit further. I want to make sure that it is nice and thick, so I went an extra 3 minutes until it was to the point where I like it. 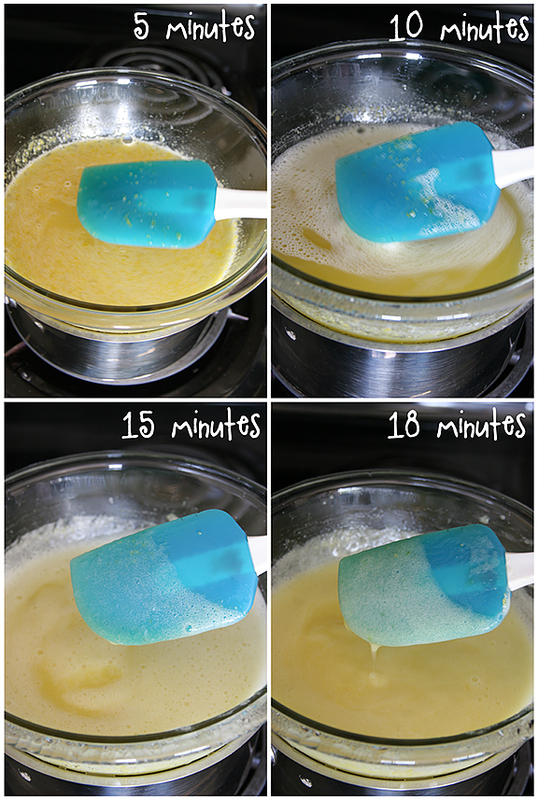 And you’ll want to make sure you are stirring or whisking the whole time so that your eggs don’t curdle. You have probably seen many recipes where it says to cook until it coats the back of a spoon. This is what you are looking for. If you run your finger down the back of the spoon, the line should stay and not run together. At this point, I turn off the heat, but I keep the bowl on top of the pan of water. 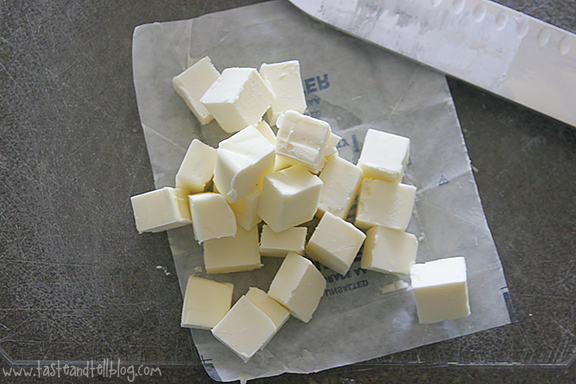 Take your butter that is cut into small cubes, and start adding it to the curd, one or two cubes at a time. And whisk, whisk, whisk. I wait until the cube of butter is at least halfway melted into the curd before adding another cube or two. Be patient, this part takes a little while. And your arm might be getting tired by this point, :), but just think of it as your workout for the day! Once all of the butter has been incorporated, transfer the curd to an airtight container. I love putting mine in a jar, mostly because I love to open the refrigerator and see a big jar of that deliciousness sitting there. But any container will do. Refrigerate it until it is completely cool, and ta-da! Homemade lemon curd! It does take a little bit of time to make, but it is worth every minute. 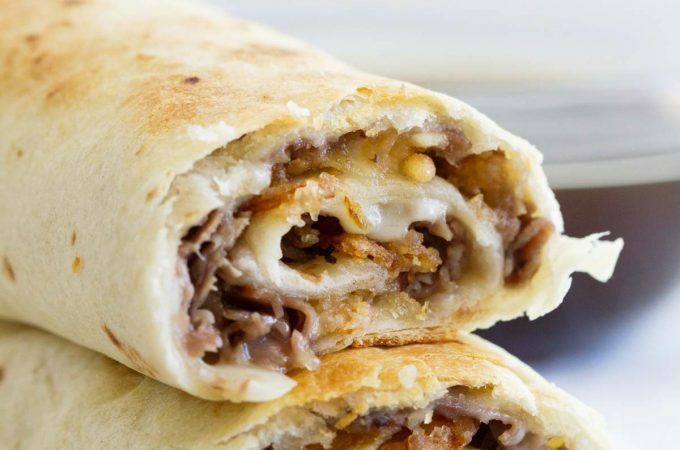 You will never go back to store-bought again! 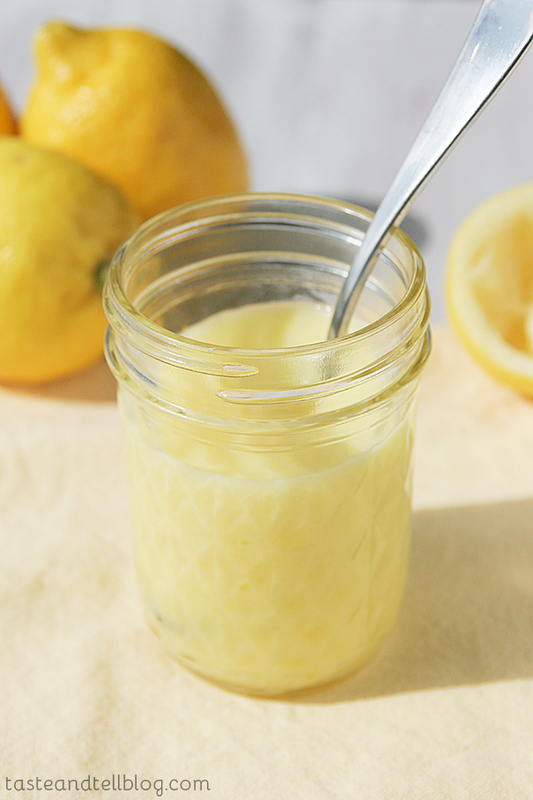 Full of lemon flavor, this lemon curd is easy and practically fool-proof! 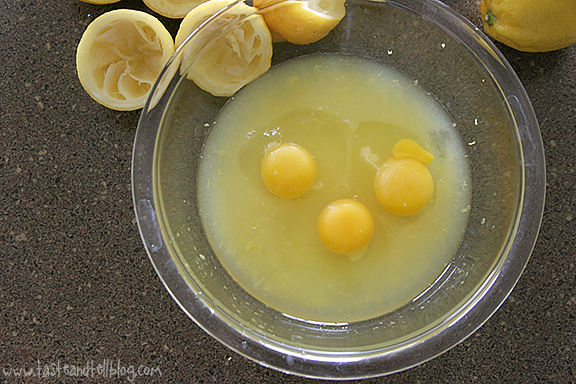 In a larger glass bowl, (you’ll want it big enough to sit on top of the pot of water on the stove without the bowl touching the water), combine the lemon juice, lemon zest, sugar and eggs. Whisk well. Place on the pot on the stove, and start whisking. You’ve made lemon curd. Now what? A great post! Love the detailed pictures. I totally didn’t know lemon curd was that easy to make. It seemed like such a daunting and hard item…I guess I’ll have to make some soon 🙂 thanks for this tutorial! The step by step was great! I’ve never bought lemon curd…..I’m lazy like that. I always rely on the grocery store to help me out! 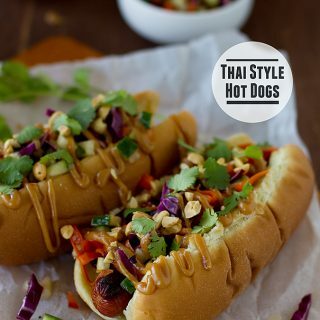 Thanks for showing how EASY it is to make! Love lemon curd! I could eat it from the jar! I must get some lemons and make this, I love lemon! I love the versatility and ease of lemon curd. Yours looks perfect, Deborah! 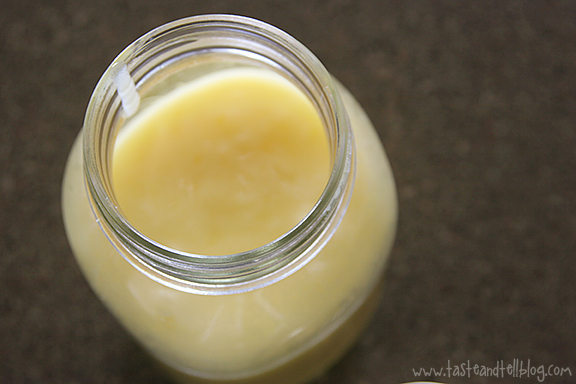 I just finished a post about lemon curd as I just made it for the first time last weekend! It was so much easier than I had feared! When I saw some of the teasers on instagram, I knew this was going to be amazing! I keep telling myself that I need to make lemon curd but haven’t gotten to it. I am drooling over yours, Deborah! See this is what I was waiting for! I’m gonna make this! 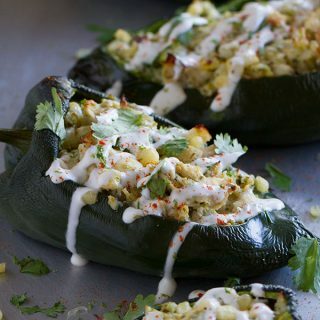 When I get back from California, I am going to make THIS! I still haven’t made lemon curd but yours is perfectly sunny! You have inspired me to make some lemon curd. 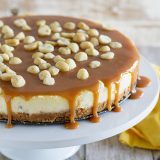 It has been awhile since I have and I have on my list to make some; now I think I will be whipping some up this week. Great post! Whenever I make curd of any kind I feel kind of like I’m making magic…like how can such simple ingredients turn into such heaven! Yummy! And so many ways to use it! 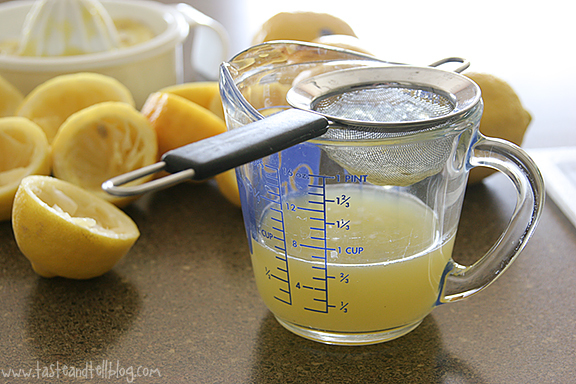 Making lemon curd has been on my bucket list for weeks now! Okay, I really need to get to it this weekend. Thanks for the inspiration! I feel ashamed that I have never taken the time to make lemon curd! I know I have been missing out, so thanks for showing us how easy it is! Wow. Super good, thank you! I would like to suggest you try using a normal double boiler instead of your glass bowl, though. I think that’s adding a couple of unnecessary minutes to your heating time. (Glass isn’t a fantastic insulator, but it is compared to a metal bowl.) I used steel and didn’t have any chunks, blobs or problems of any kind. 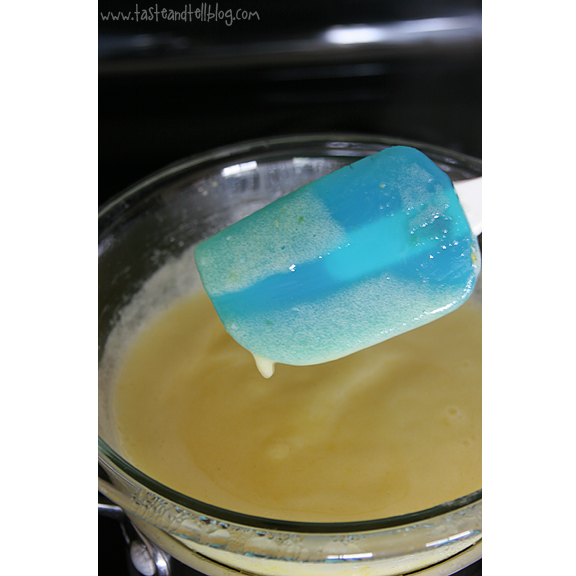 Hello – does the lemon curd thicken after being refrigerated? 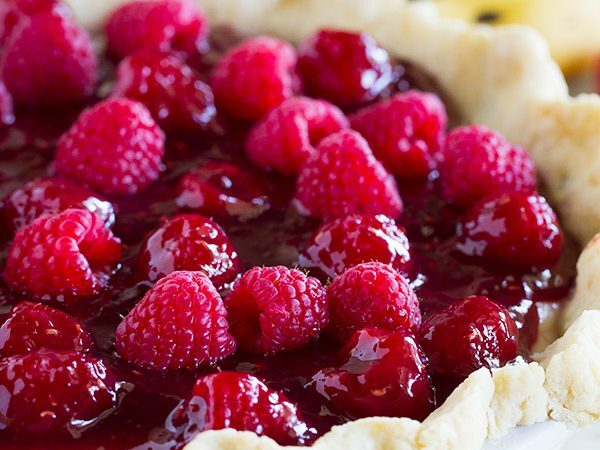 @Ruby, it will thicken more after being refrigerated. I do like to cook it until it is pretty thick, though, but it will set up nicely once refrigerated. @Daniela, I’m so glad it worked out so well for you!